It is usually a near frustrating experience to find out that the last set of keys to your car is no longer with you, probably you’ve lost them. Or while not been so conscious of the fault on the key due to so much of mechanical pressure, you notice a turn in the ignition throws the key out half its original size. It appears a very expensive mistake and you can attest to that when you are charged possibly higher than your budget. In addition, consider the stress that often comes with looking for a dealer to give you a better alternative in such emergency situation. Not just the charge alone, how about the time and distance covered in the search just to get your car in motion again? There could even be more than described so far. Having gathered so much info on the possible outcome of such typical scenario, a special group, a company you may call, Faris Pro locksmith, as part of its numerous locksmith services, has offered itself a prominent cushion as an expert in car key cutting in every corner of Arkansas. The term ‘car key cutting’ as part of Faris Pro locksmith, speaks more than it may literally mean. That’s exactly what you will be taken through to give you a reason as well as guide your choice of the available options. Lacer car key cutting: this is unique for higher end cars. Why? This is because manufacturers of these kinds of cars provide a laser cut key to optimize security. Just as the manufacturers understand the necessity of securing these car model, Faris Pro Locksmith understands the frustration that comes with having any problems with such car keys. This is why they pay special attention to providing high tech machine with laser cutting option meaning the stress of contacting manufacturers totally ripped off. Not just any trained personnel could handle the laser cutting though, the service requires the skills of a professional who possess not just the experience but also the ability to make out the correct and exact size and shape. Faris Pro Locksmith is ridden with such kind of personnel who execute laser key cutting with high accuracy and precision. Auto-Transponder key: That’s the type of key prominent in modern cars where computer technology is incorporated into car locks. The auto-transponder keys have a radio transmission device in the form of chips which makes it almost impossible to be for nobody to get your car started. To display Faris Pro Locksmith pace with the trend, this is just part of their car key cutting and cheap car key replacement services and obtainable everywhere in Arkansas and beyond borders. How long will it take Faris Pro Locksmith to cut new car keys? The time will depend so much on the method adopted in car key cutting. An existing key can be used as a template for cutting a new car key or it could be done with the use of a code. While the first will take no time, the use of code procured via the Vehicle Identification Number (VIN) will take some time as it involves decoding the ignition cylinder. However, the latter involves the services of a professional locksmith with lots of experience to execute such task in no time while incurring no complications. That’s obtainable in Faris Pro Locksmith here in Arkansas. Is the original key required for car key cutting? Of course not! Even without any key on hand to serve as a template, with an expert locksmith and the unique Vehicle Identification Number, car key cutting can be done smoothly. Experts at Faris Pro Locksmith uses the vehicle database to perform this unique operation while verifying the ownership of the car thoroughly this time to detect any prior keys. Why should I hire a locksmith for car key cutting? You should note that hiring a locksmith who delivers high-tech car key cutting services entails hiring not just experience but complete dedication as well as all available skills of a security expert. Invariably, you have lots of services at your disposal from a single professional. While you get the car key cutting done, you can as well ask for an auto-transponder which is a two-in-one service. Faris Pro Locksmith guides you on the exact choice to make regarding your car key issues as you place your order. Will car key cutting cause damage to my existing key? It doesn’t. Though the operation may appear a little violent no damage done to your keys. Rather, your key gets a little more polishing particularly when some scuffs and burs are noticed by a professional locksmith. This makes it look even better when the car key cutting process is done. How does the locksmith get my key code for car key cutting? Well, that’s their job to do. But if you must know then, key codes for various car keys can be retrieved from various sources. Tags on the keys usually have the vehicle’s key or lock code. Just for your knowledge, in a case where you are not the original owner car owner, there are still chances that the previous owner must have written them down. But in a case where neither of these options is available, still not a problem. This now calls for experts as are in Faris Pro Locksmith who engages in obtaining the key code with your vehicle identification Number. 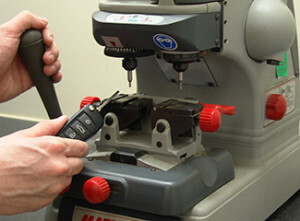 However, for a successful car key cutting, a lot of factors would come into play which you should consider critically. Quality of service remains very important as it implies getting one with many years of expertise and experience in car key cutting. Sometimes, what may come to the mind would be contacting the dealers for a car key cutting. But the big question is, while the dealership knows much about the car how about the key? This is exactly where a locksmith comes in. it is very important to contact a locksmith company that has got the skills, knowledge, the expertise as well as the right equipment to carry out a successful car key cutting. You only get to realize at the end of the day that the dealer was just relatively outrageous in cost hence not any good option at this time. Faris Pro Locksmith as a company does the job at such affordable rate while ensuring that you get all you pay for. Just as mentioned before now and for more clarity, use of car key cutting by codes is another unique method of car key cutting which employs codes. These codes are represented by numbers and other characters and are made use of by special locksmith experts to model keys. These codes come in two forms as made use of by the locksmiths and are the blind code and the bitting codes. While the bitting code represents special numbers made use of on a blank key, the blind code utilizes specialized programs and charts to get the bitting code. You can refer to the bitting code as the direct code and the blind code as the indirect code as explained. Today, most keys have the blind code which makes it very necessary that only a professional in a notable locksmith company like Faris Pro Locksmith executes the car key cutting operation. First, the code must be available to the locksmith before the commencement of the car key cutting by code which may be accessed from the tag or stamp on the key which is popular with older car models or sometimes present on the dashboard. When these options have been explored and none available, then the Vehicle Identification Number (VIN) comes into play. A call may be put through to the manufacturers to obtain the VIN which would guide in the car key cutting. However, the last option may as well prove difficult. But in such case, the locksmith would have to disassemble the lock to install a new one. Available 24 hrs a day, 7 days a week: Faris Pro locksmith has technicians who work round the clock to ensure you do not get starved of your need or suffer frustration from time spent on looking out for a perfect locksmith for your lost or damaged key. Faris Pro locksmith is available for all 24 hours of a day as well as 7 days of a week for 365 days of a year. Emergency Locksmith Service: Faris Pro locksmith understands well that emergency doesn’t call before it comes. This is why, as part of their unique services, they have made plans for quick emergency response schedule to meet up with the various key cutting needs. No Extra charges Nights or weekends: there are no extra charges for the time of the day when the key cutting service is delivered here in Arkansas. Faris Pro locksmith has taken care of that already. Our Locksmiths are licensed, bonded: To ensure the quality of service delivered to clients regarding key cutting, Faris Pro locksmith ensures that technicians are licensed your safety is guaranteed too. In addition, you do not need to border yourself looking for Faris Pro locksmith services anywhere to get your work done; rather they are ready to answer at your door post or anywhere your choice around Arkansas and even beyond. Car key cutting is one service that needs an ideal skill of a professional who has had long-term and good experience as well as the ability to provide key cutting in the exact size and shape. Faris Pro Locksmith as one unique company is made up of such type of personnel who have passed the test and can no doubt deliver this job perfectly and devoid of faults. Again, Faris Pro Locksmith is equipped with the technology and machines which are new and up to date to versions deliver just a perfect job. As a client, when in need of such services from Faris Pro Locksmith, you need not border because they have trained their technicians to go for perfection. There is no mistake with cutting your car key in exact shape and size. When the issues of making a duplicate of even a key spare arise while you are not in possession of the original which could be used as a template for the new one, Faris Pro Locksmith will cut the exact key that will get your car started without any difficulty at a cheaper price compared to other providers in Little Rock.